Product prices and availability are accurate as of 2019-04-21 22:38:04 EDT and are subject to change. Any price and availability information displayed on http://www.amazon.com/ at the time of purchase will apply to the purchase of this product. 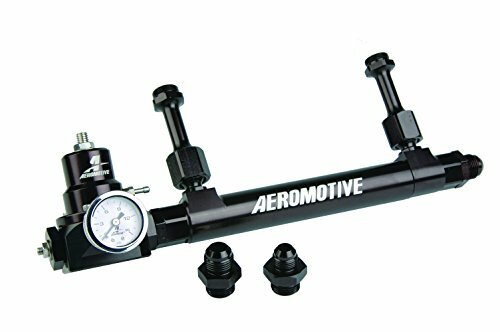 Includes 14201 Fuel Log, 13212 A2000 Bypass Regulator and 15632 Fuel Pressure Gauge. For 4150/4500 Holley Style Float Bowls. The new Aeromotive Fuel Log incorporates features never before available. Each carburetor inlet features a ball and socket assembly that swivels /-20 degrees, allowing additional clearance for throttle stops, nitrous plates and other accessories; then locks in place at the desired position. 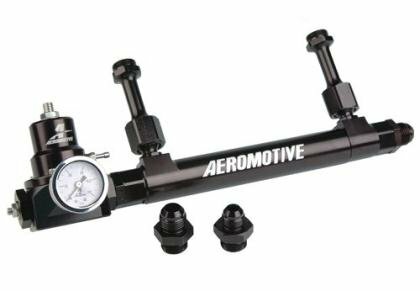 The telescoping log will fit 4150 or 4500 Dominator (P/N 14201) and Demon (P/N 14202) carburetors. 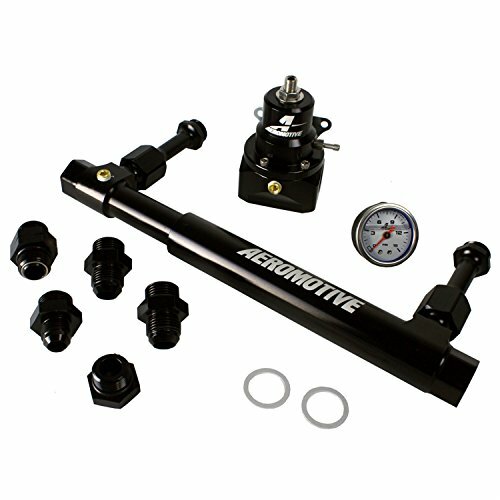 The ORB-10 inlet and outlet ports will feed the hungriest big blocks, and adapt easily to Aeromotive P/N 13212 (A2000 Bypass - gasoline) or P/N 13214 (Double Adjustable Bypass - alcohol) fuel pressure regulators. Carburetor inlets swivel or - 20 degrees in all directions. Telescoping center line 7 .700" to 13.450". ORB-10 inlet and outlet ports. (2) 1/8 NPT ports for gauges or pressure transducers. 1.056/.806" ID bore. Type II bright dip black anodized finish.